Mr Hasan is a biotechnologist having years of experience in academia and biopharmaceutical industry combined. As an industrial biotechnologist, he worked in different departments of R&D to develop cost-effective Biosimilar (especially Insulin Glargine) in Bangladesh. He is the expert in the mass spectrometry-based characterization of biotherapeutics and computational biology based structure-function characterization of proteins (especially plant aquaporins). Mr Hasan completed MS in Genetic Engineering and Biotechnology from Shahjalal University of Science and Technology, Sylhet, Bangladesh. He is actively involved in collaborative research and particularly enjoys working with students. Throughout his career, Mr Hasan received several hands-on training on liquid chromatography, mass spectrometry from world’s technology leaders i.e. AB Sciex, GE Healthcare etc. 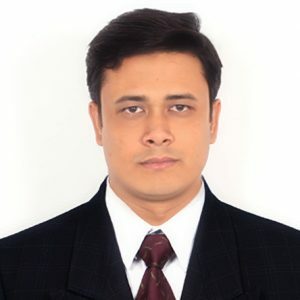 Mr Hasan is currently working as a faculty member at the University of Chittagong, Chittagong-4331, Bangladesh. He also involved with few web-based initiatives dedicated to motivating young researchers through mentoring. He also writes for the newspaper on contemporary issues related to health and biological sciences.